This statistic shows the moral stance of Americans regarding gambling in 2018. 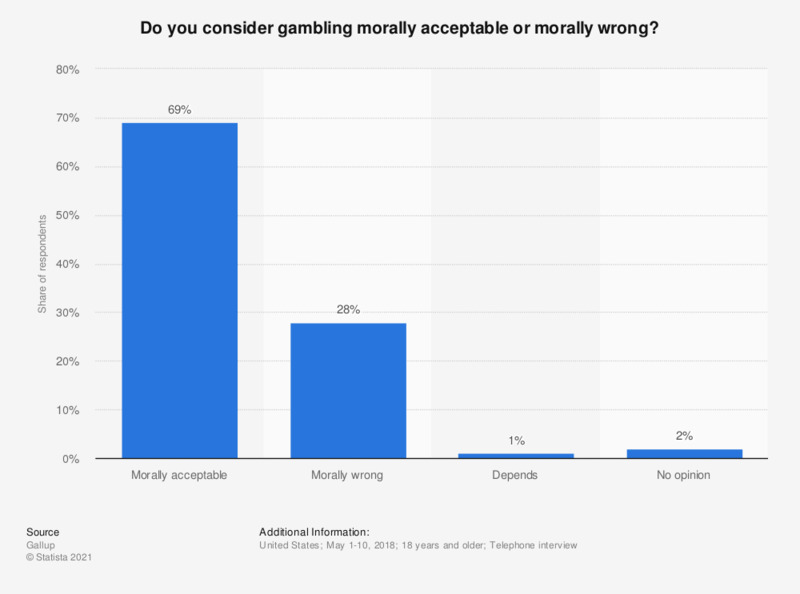 During the survey, 69 percent of respondents stated that they think gambling is morally acceptable, while 1 percent said it depends on the situation. The source does not specify the exact number of respondents. Is it good that American ideas and customs are spreading in your country? Which of the following superpowers would you like to have? Why do Italians lie about their weekends´ activities?